Yesterday Katie became a BIG sister! 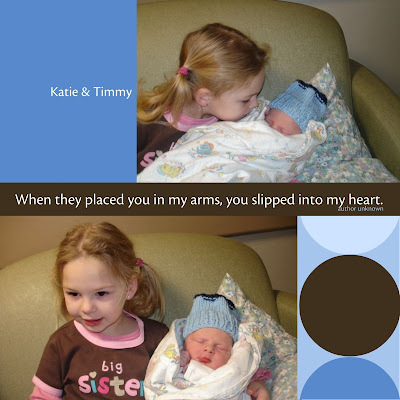 Her brother Timmy was born and she is just so excited to give him lots of hugs and kisses. I am sure she is going to be a great sister to her baby brother. awww...they are both soo precious! Thank you for playing along. hope you are doing ok!!! How adorable. Katie is going to be an awesome big sister. !